We are proud to share the testimonials of a few of our satisfied customers. Willie was polite on time did a great Job Would recommend them! My husband and I were very, very impressed with these 2 gentlemen. They came at the appointed time, quoted us a price we couldn’t beat, and our stairs and family room carpets look beautiful! They did an excellent job! Well worth the money and time. We recommend them highly! They arrived on time and did exactly what we discussed. Both gentleman were very polite and worked diligently to complete the carpet cleaning upstairs and in the basement plus the whole house vent cleaning including the dryer vent. Aside from a minor scheduling conflict, THE OVERALL EXPERIENCE WAS EXCELLENT!! The owner was very personable and accommodating and the Job was done superbly!! I will definitely use them again and I highly recommend them!!! 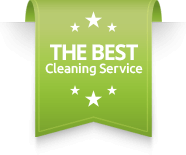 Number one Carpet & Upholstery Cleaning was very professional and prudent. My carpet looks new again. I would be glad to act as a phone reference for your company. You guys did a wonderful job and I don’t mind confirming your outstanding service. If anyone is thinking about hiring someone to clean their office building, ask them for my testimonial and call anytime.